Woa, this rhythm. I absolutely love how you handled that intro Such buttery sounds, that stuttery pluck side melody at the end is top Favourited, only wish it was longer! Woa, this rhythm. I absolutely love how you handled that intro <3 Such buttery sounds, that stuttery pluck side melody at the end is top <3 Favourited, only wish it was longer! Judge would be very happy. I know I am. This is a fantastic conjuring of Judge Reinhold. I could almost imagine he was in the room with me. I'm sure he would be pleased to know this track existed in his honor. 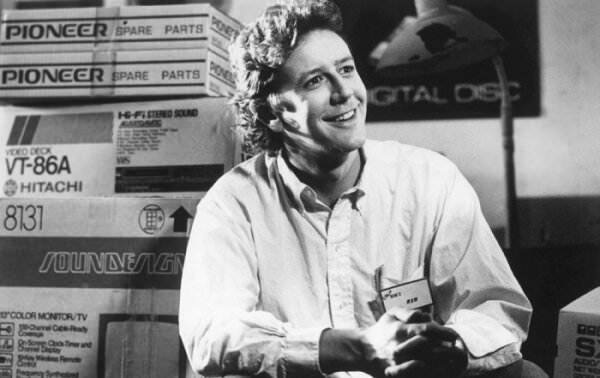 You have captured the essence of the cinematic force that is Judge Reinhold. Nice uplifting,synth leads and the panning arps rule! I guess you have bounced back from the darkness of last week's track into positive territory. Woa, this rhythm. I absolutely love how you handled that intro &lt;3 Such buttery sounds, that stuttery pluck side melody at the end is top &lt;3 Favourited, only wish it was longer! Many thanks! I kept it a bit short because I saw it more as a tv show intro theme Maybe I could work on an extended version sometime! Oooh, hopefully he would be, but if you are then that's awesome thank you! [quote=mikememo]Nailed it, nice! [/quote] <3 [quote=hieme]Woa, this rhythm. I absolutely love how you handled that intro <3 Such buttery sounds, that stuttery pluck side melody at the end is top <3 Favourited, only wish it was longer! [/quote] Many thanks! I kept it a bit short because I saw it more as a tv show intro theme :) Maybe I could work on an extended version sometime! [quote=Jim Wood]Judge would be very happy. I know I am. [/quote] Oooh, hopefully he would be, but if you are then that's awesome :D thank you! [quote=CosmicCairns]This is a fantastic conjuring of Judge Reinhold. I could almost imagine he was in the room with me. I'm sure he would be pleased to know this track existed in his honor. [/quote] Cheers! I'm happy I could summon him in music form :D It'd be wild if he actually listened to it hahahaha [quote=NWSPR]You have captured the essence of the cinematic force that is Judge Reinhold. Nice uplifting,synth leads and the panning arps rule! I guess you have bounced back from the darkness of last week's track into positive territory. [/quote] Thank you! I did indeed bounce back, it was fun to compose something darker but I think I have more of a soft spot for upbeat stuff :) [quote=??? ]Hahaha classic stuff! <3[/quote] hehehe ;) merci! This sounds like a very intense legal system. This sounds great, again. Really enjoyable and has also some of that 80´s Tangerine Dream quality. Good structure too... a success! Fun and carefree, love it!! Total show intro, nice track! Justice will be served! I remember Judge R. - was always puzzled by his name. When I saw this and started the song, I thought he was the guy in Night Court, but he was not. I'm still picturing Night Court tho, loved that show. Very intense, with explosions and car chases! This sounds awesome and has such a cool montage feel to it with those wonderful sounding synths. The drums are perfect especially with that last hit!